One of the greatest albums of all time recently celebrated a special milestone as the Beach Boys’ classic Pet Sounds turned 50 this year. Much has been written about the sonic masterpiece that would begat the Beatles’ Sgt. Pepper album a year later, proving that pop music can be crafted as a mature work of art and a serious statement. Pet Sounds remains a testament to the brilliance of mastermind Brian Wilson in terms of the production and arrangements: from the intricate-sounding instrumentation to the group’s trademark vocal harmonies. 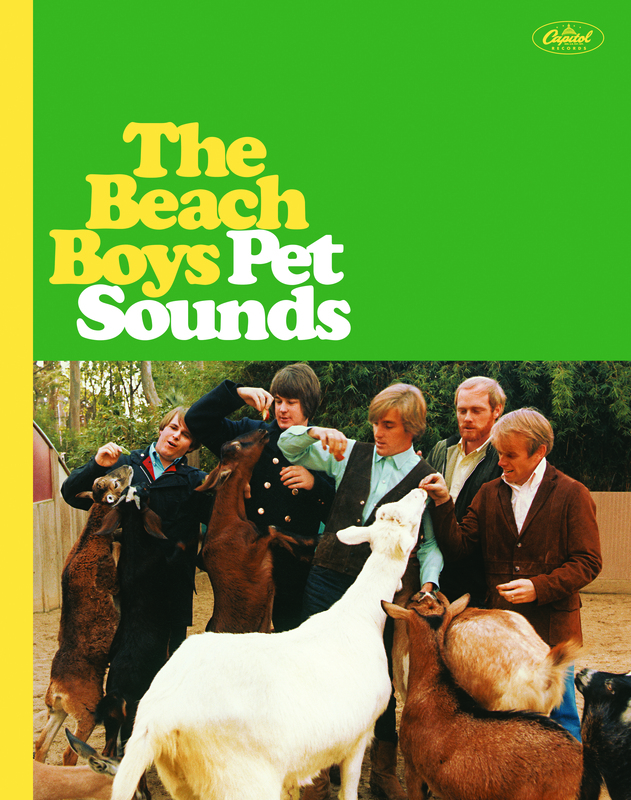 Musically and lyrically, Pet Sounds is a departure from the buoyant surf tunes that had been the hallmarks of the Beach Boys’s early hits up to that point; instead, the record’s songs are mostly subdued, from lush and introspective ballads such as “Don’t Talk (Put Your Head on My Shoulders),” the melancholy “Caroline No,” and “I Know There’s an Answer”– to the more slightly upbeat “I’m Waiting for the Day” and “Sloop John B.” The two most famous songs from the record that would go on to become part of the group’s legendary repertoire, the nostalgic “Wouldn’t It Be Nice” and the achingly beautiful “God Only Knows”– still sound gorgeous. For Pet Sounds‘ golden anniversary—an update of a previous 1997 box set–this new 4-CD/blu-ray reissue contains both the mono and stereo versions of the original record; and the “Pet Sounds sessions,” which offers a fascinating glimpse into the behind-the-scenes recording of the album’s songs in the studio. The set also features alternate versions of song, live performances of some of Pet Sounds‘ tracks between and 1966 and 1993, and the Stack-O-Vocals tracks that really showcases the amazing vocals by the group isolated from the backing tracks. (Though not on the original album, the legendary “Good Vibrations,” which also turns 50, makes an appearance on the set through a number of versions on this set). Given its historical importance and lasting influence, Pet Sounds deserves a deluxe retrospective worthy of its stature. Thus the die hard and even casual fan will find new things to appreciate through this new anniversary set.